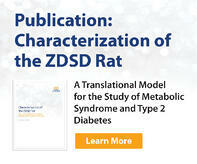 The ZDSD rat is an inbred polygenic model for metabolic syndrome, diabetes, diabetic complications, and obesity. 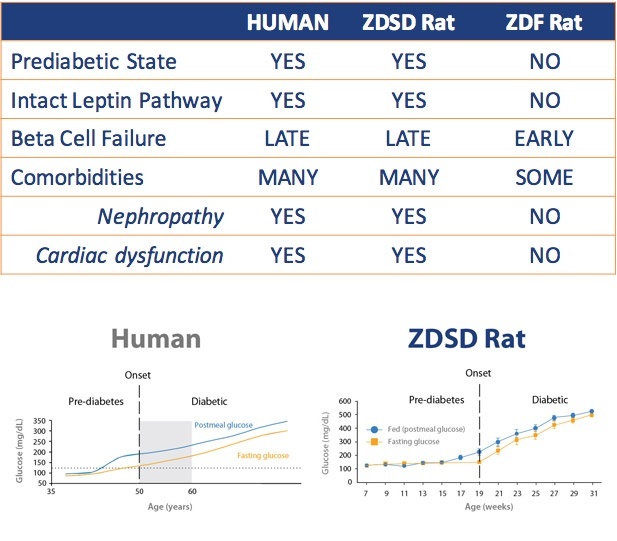 It was developed by crossing the ZDF rat (Lean +/+) with the CD(SD) rat and selectively bred for obesity and diabetes traits, followed by inbreeding for more than 35 generations. 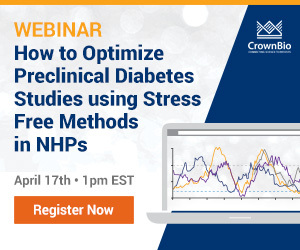 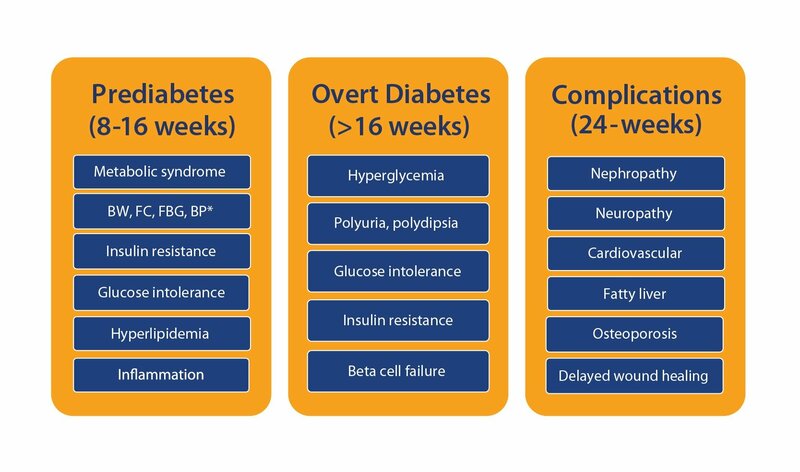 Unlike other rodent models of metabolic disease, the ZDSD rat does not rely on monogenetic leptin or leptin receptor mutations for development of obesity and Type 2 diabetes, and therefore more closely mimics human disease development. 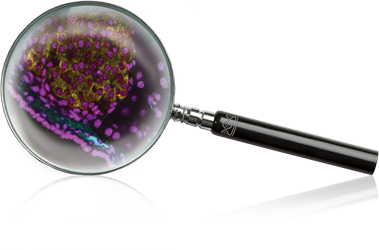 Diabetic complications including nephropathy, neuropathy, fatty liver, etc.